Today’s card is all about easy. 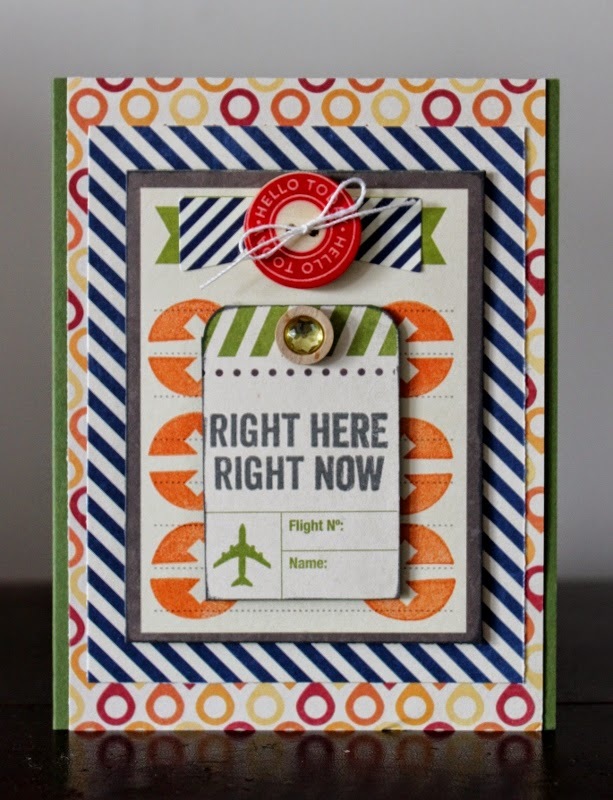 I used one stamp set and various colored inks to create this easy card in just a few steps. First, trim your cardstock to size, matting it on bright color cardstock. Next, stamp the two different sized candle stamps from the Birthday Bisque stamp set in a row in the middle of your card front. 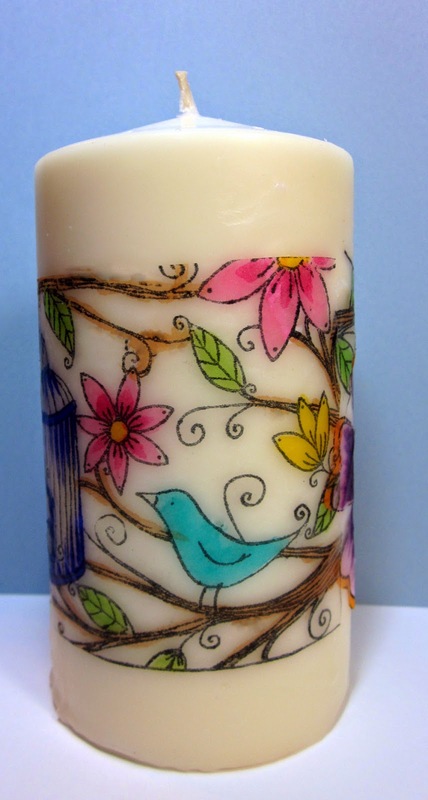 Change up the colors and stagger the height of the candles. 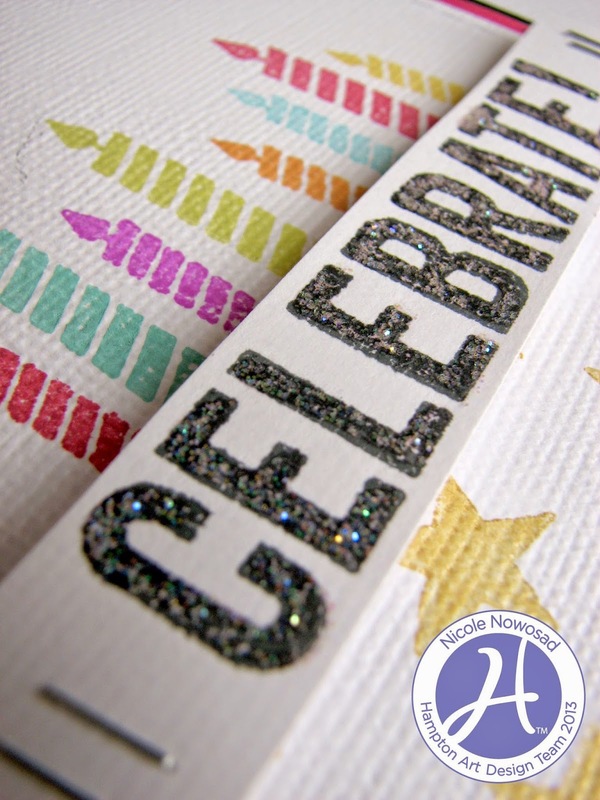 Stamp your sentiment onto another piece of cardstock and add some glitter glue to make the letters pop! 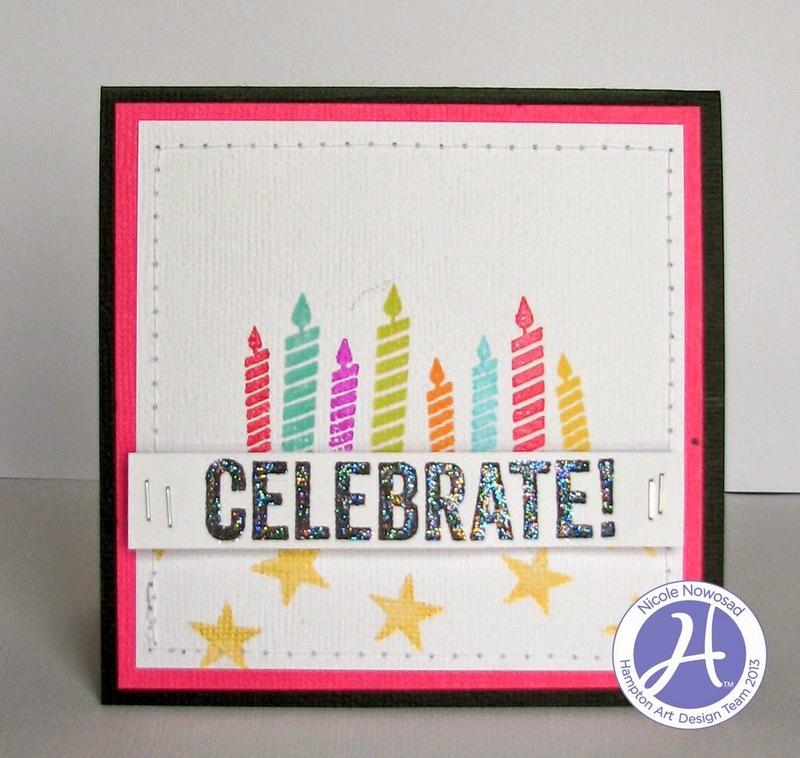 Make the whole sentiment pop, by adding in some dimensional adhesive to the back and adhering it to the card, slightly overlapping the bottom of the stamped candles. 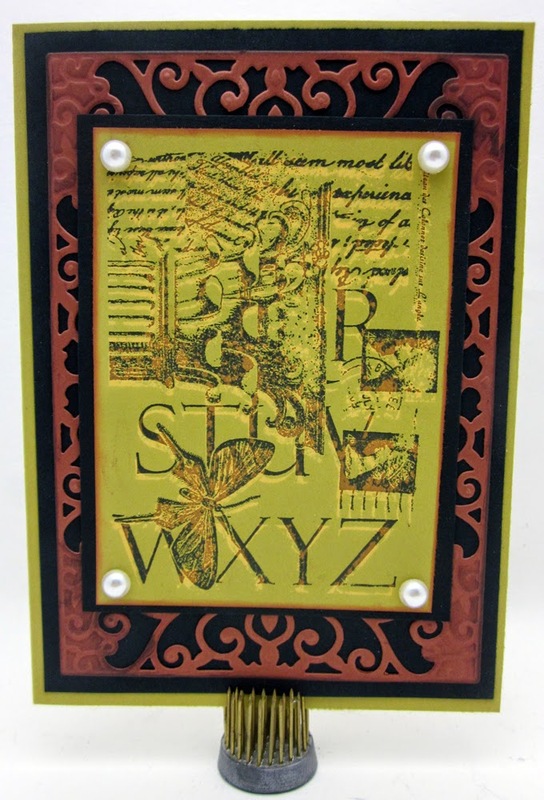 Add a few stamped stars in gold ink and you are done! Easy right!? Right Here, Right Now! 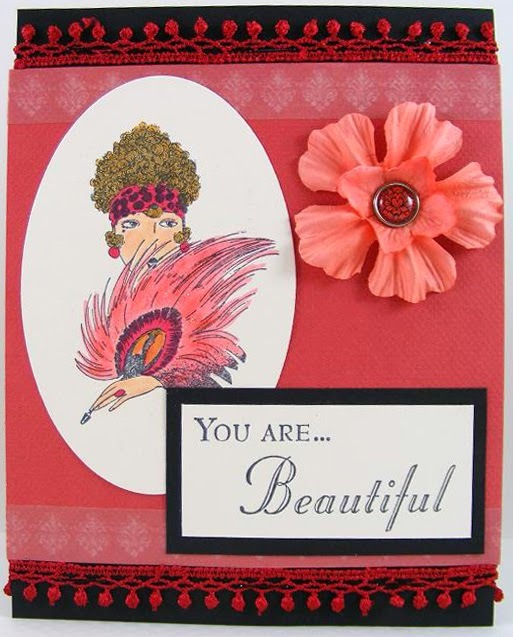 Is an great card by designer Patty Folchert!! Do I have your attention? The new Jillibean Soup papers and stamps from Sightseeing Stew and two scrumptious new embellishments take center stage on this fun and trendy card. 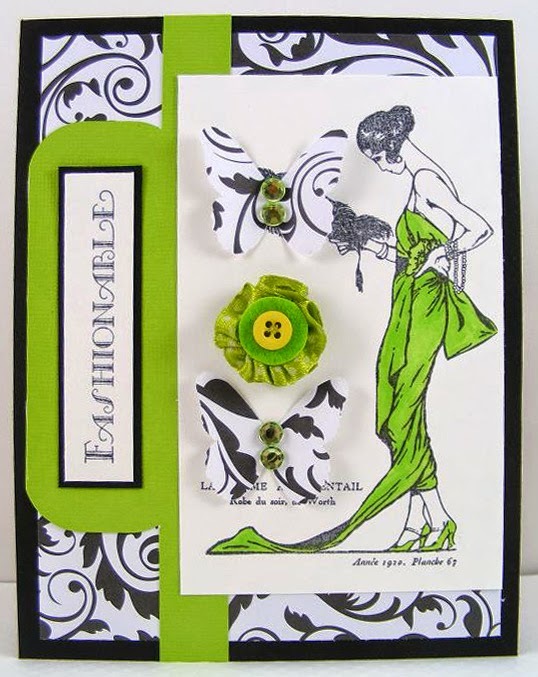 This card started with a green card base and a centered mat of “Sauteed Sights” paper. From there I added another mat of “Blanched Bags” as shown. Then I got out the Sightseeing Stew clear stamp set and selected the circular arrow. I proceeded to cut out the “Travel Notes” Bite Size bits from the Bite Size Bits paper. Using orange ink I stamped the circular arrow onto the bite size bit 3 times down each side pointing in as shown. I knew I didn’t want the “travel notes” sentiment to be seen so I covered it using a sticker from the Sightseeing Stew coordinating sticker sheet. Then to dress it up a little I added one “Hello Today” wooden nickel, love these buttons soooo much! I threaded some plain white cotton string through it first and tied it into a bow, this requires piercing the adhesive dot behind the button with a paper piercer or needle first. 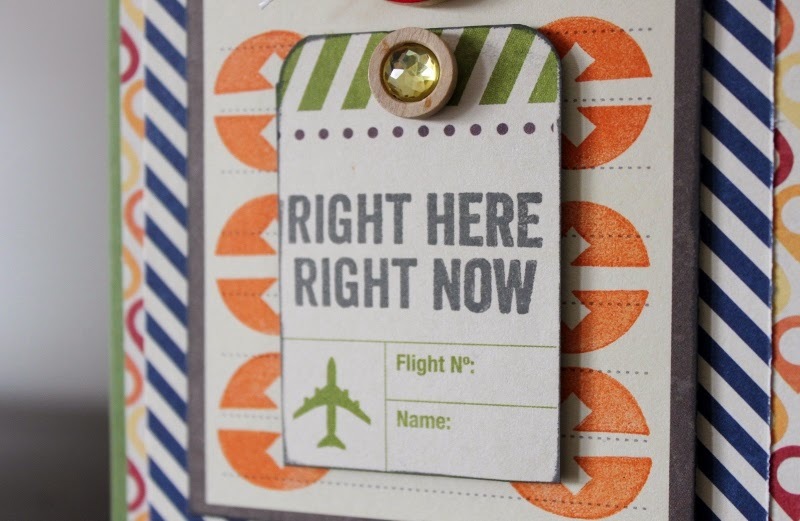 Finally I cut out a super cute travel ticket from the “Tossed Tickets” paper and using charcoal gray ink I stamped the “Right Here, Right Now” sentiment. Then I used a corner rounder on top two corners and inked the edges in gray also. Lastly I added the gorgeous new wood sprinkle in center top of tag in olive green color- just enough bling to not overpower the card I think. So let me know what you think of this card right here, right now in comments section below. 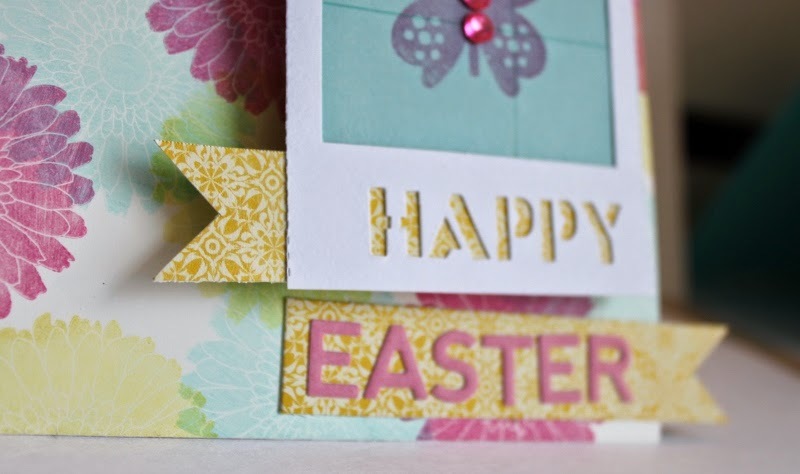 I am so happy to share this card-making moment with you on this spring, snowy day. Looking at the colors in the new Spicy Social Soup collection made me realize they would match perfectly with photos from the fair. 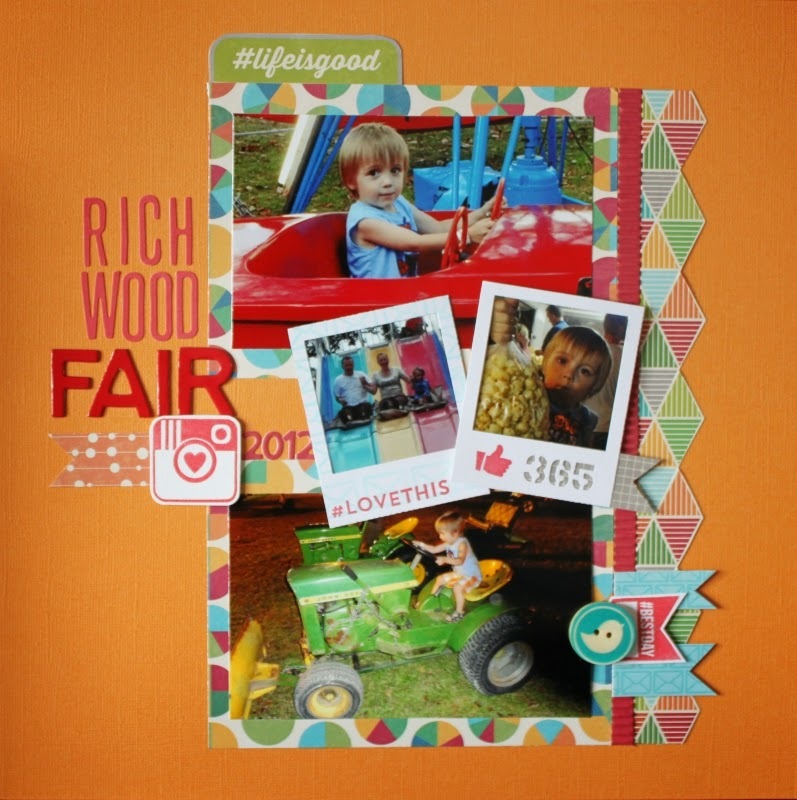 So I started digging and found some great photos from a trip to the Richwood Fair in 2012- the Spicy Social papers and stamps made for a playful, unexpected and fun combination! 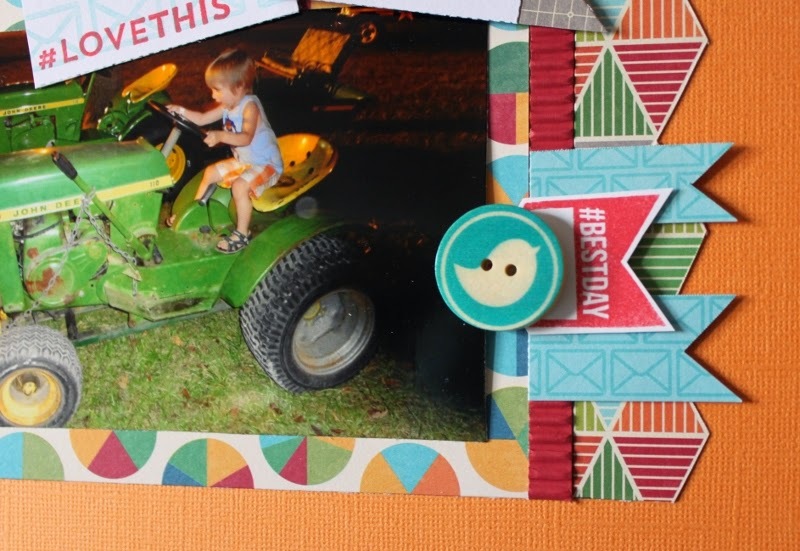 This layout really came together through color, the papers worked so well with these photos and the embellishments and stamps were just icing on the cake. I actually began with a sketch by Scrapbook Generation and started with the pie chart/3 Parts Friends paper mat a little off center. Then I added the border strip using red corrugated paper for texture and the triangles/2 Parts Tweet paper I fussy cut for a fun edge. I cut two banner tipped pieces from the envelopes/Taste of texts paper in slightly different widths as shown and added them to the bottom right cluster. Then I added the top tab “lifeisgood” from a bite size bit. Next I added my two 4x6 photos as shown and then started into the stamping. 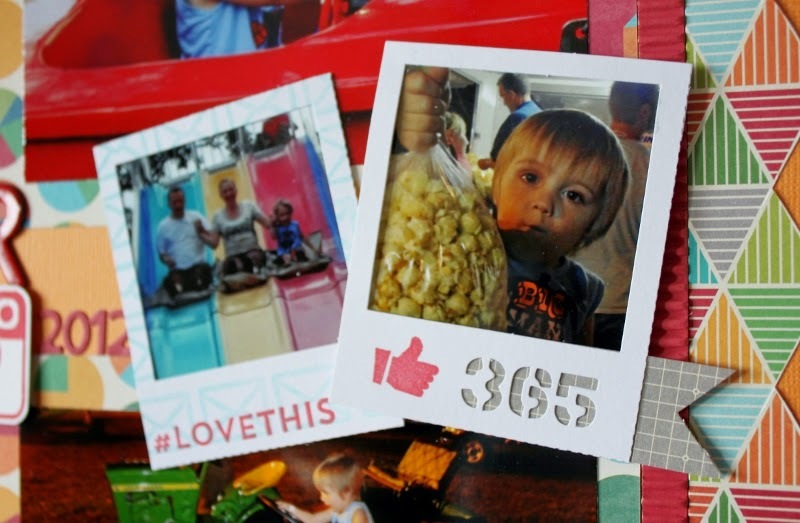 First I stamped the “#bestday” in red ink onto white cardstock , then I stamped the crazy cute Instagram looking camera. 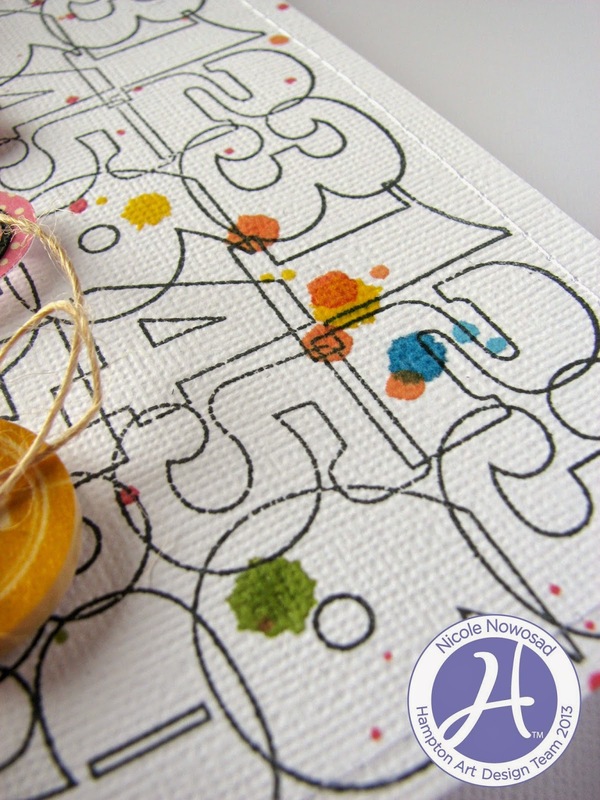 Next I stamped directly onto two mini journaling placemat frames the first one a “thumbs up” symbol onto the “365” frame. The second one I stamped the envelope in lt. blue ink all over the frame then stamped in red ink the #lovethis sentiment. I added the two frames to the center of the page diagonally after I added a gray grid paper backer to the “365” frame. The camera and #bestday pieces were then added as shown. Another banner tip piece of Orange dots/2 Parts Tweet paper was added next to the camera and then I began to build my title using three different fonts and stickers. 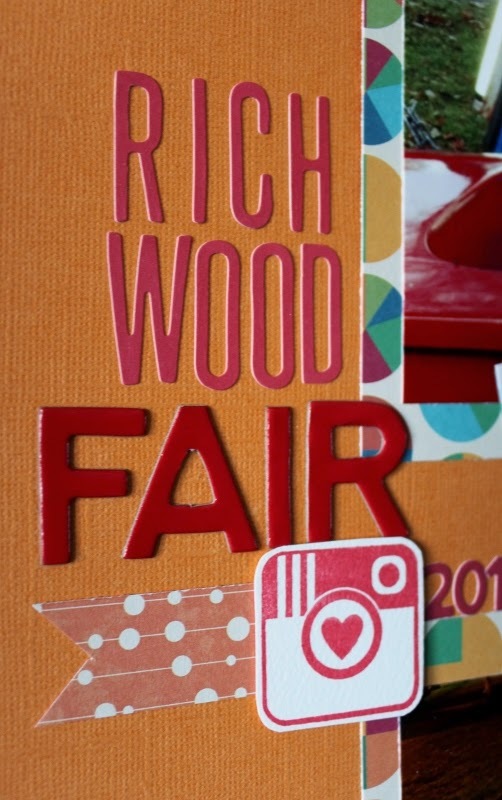 First the tall font alphabean in red for the “Richwood”, then the brand new Beanboard Alpha in red for “Fair” and finally the 2012 in smaller alphabean red. To finish it off I added the little bluebird wooden nickel button, did I mention how much I love these? There you have it, a county fair layout using a social media collection- who knew? Works for me, might work for you too. 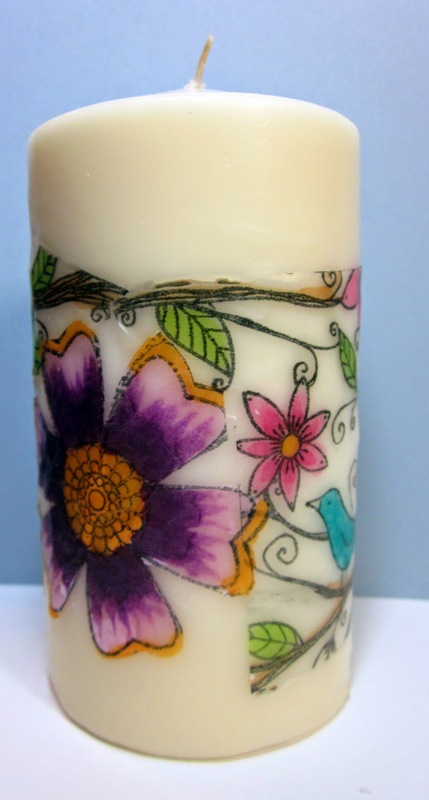 Check out this beautiful candle and technique that you can create by using your favorite Hampton Art Stamps to create a fun and easy candle. These would be a perfect DIY gift. 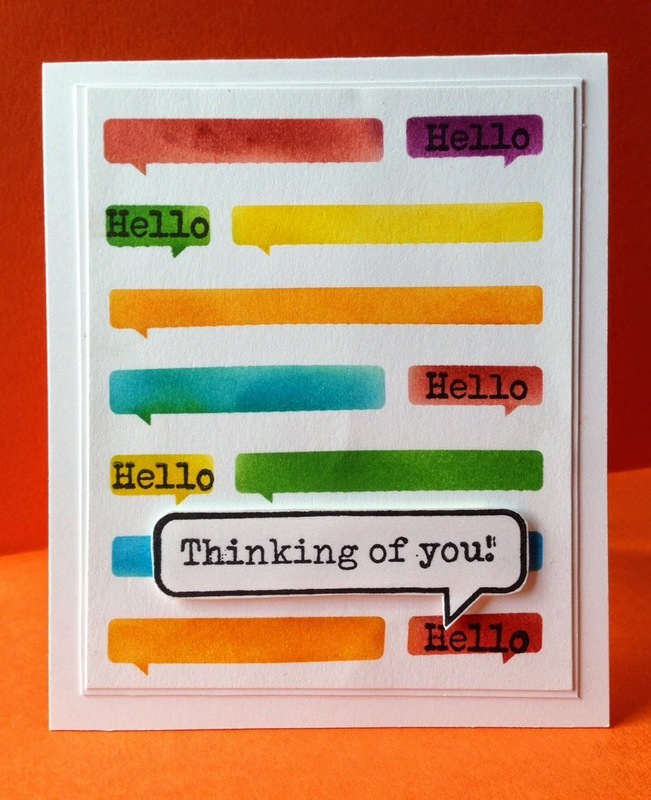 Today, I wanted to share with you a very easy card, using one of the new trends out right now – watercolors. 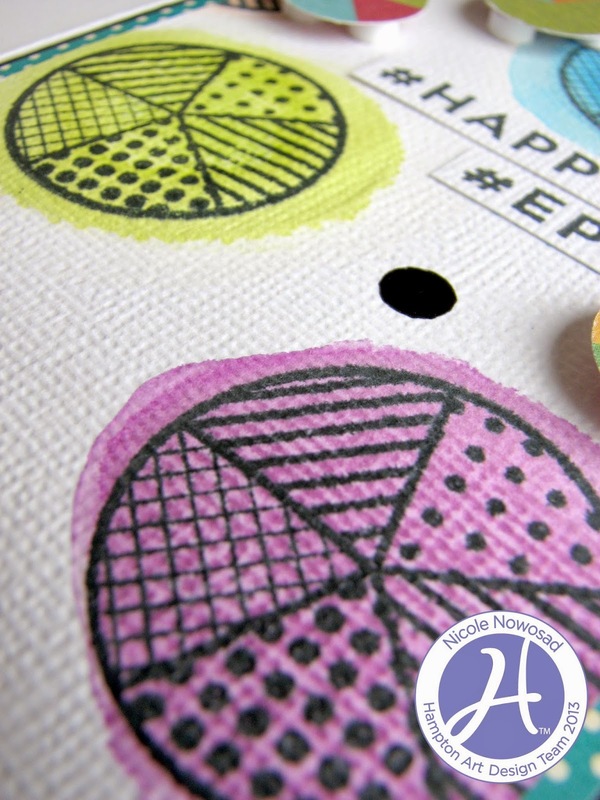 To create my card, I stamped some pie charts from the Spicy Social Soup onto some white cardstock. You could use watercolor paper, but as long as you don’t saturate your paper, cardstock works fine. 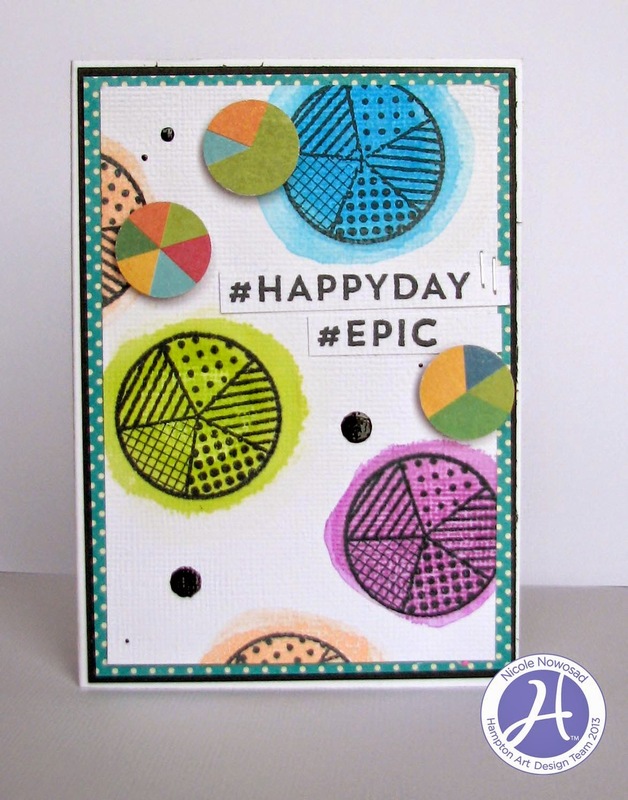 From there, I simple added some popped up mini pie charts from the Spicy Social Soup paper and my sentiment, using some fun and trendy #hashtag phrases from the stamp set. Hello and welcome to the Hampton Art blog. It's Melinda with you today and I'm sharing a card I created using a technique that is so on-trend in the crafting world at the moment... watercolour! I really wanted to use the flower doilie on my card but couldn't work out how to make it 'pop' so after a couple of false starts I dragged out the watercolours. I used a simple colour combination of pink and yellow as I wanted the card to be quite feminine yet soft and slightly understated. The vellum title strip accentuated that softness and allowed the sentiment to float over the doilie. Now it wouldn't be me if I didn't change my mind on the design and end up adding or subtracting something from the original design. 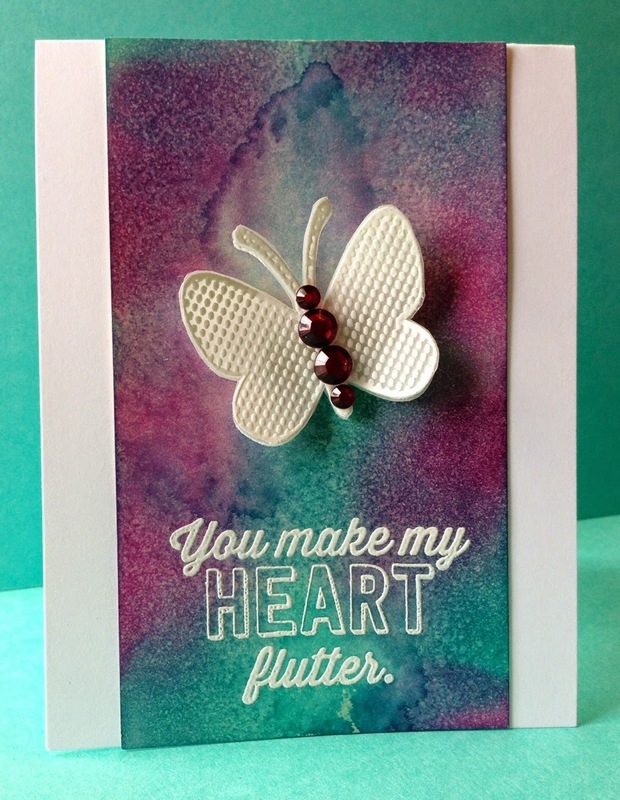 After I placed the doilie and sentiment in position I realised the card was very lopsided in visual appeal so balanced it out by placing a few watercolour splashes on the opposite side to complete the look. 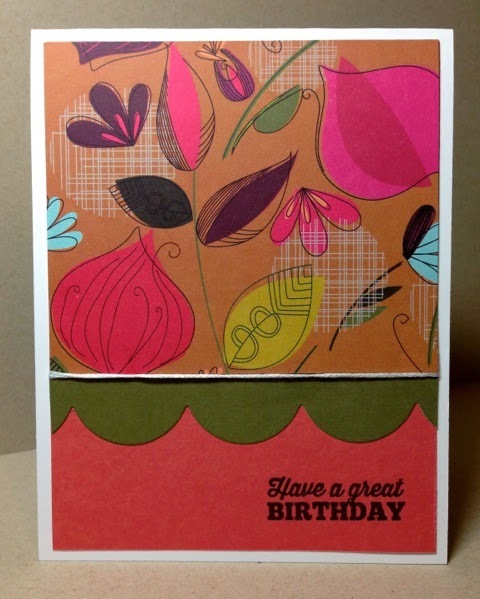 I made three cards with new Jillibean Soup / Hampton Art Stamp & Stencil sets. These stencils are sticky on the back which eliminates the need to tape them down on your work surface. 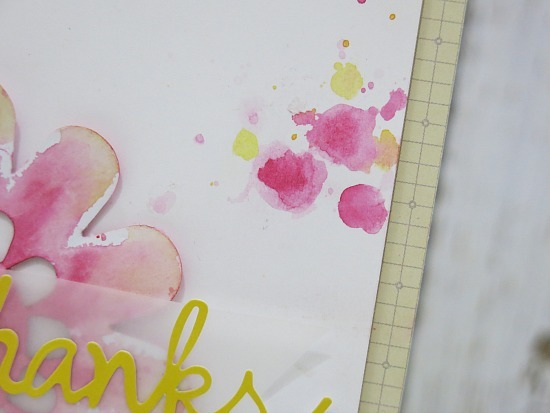 I added lots of color by sponging various Distress Inks over the stencils. Thanks for joining us on the Hampton Art blog! 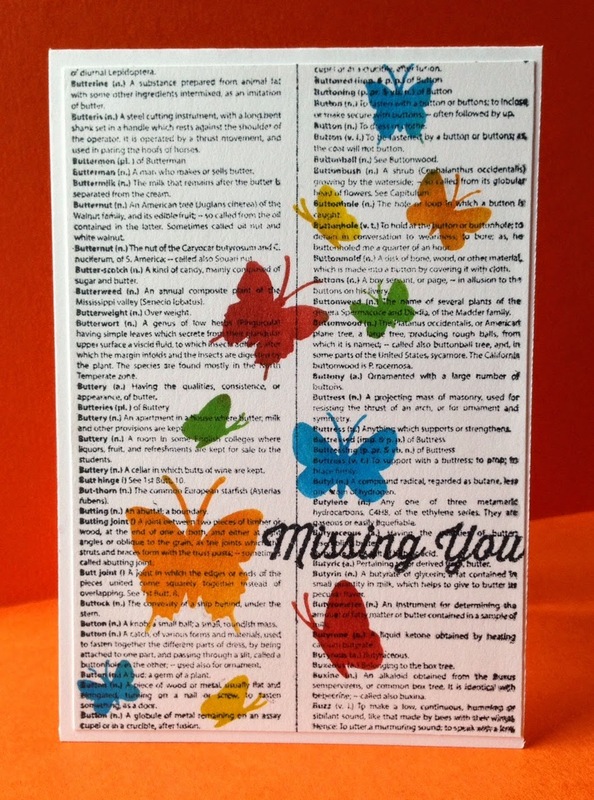 I made a card with the Jillibean Soup / Hampton Art Butterflies clear stamp set. I sponged various Distress Inks over the background and misted them with a water spritzer. 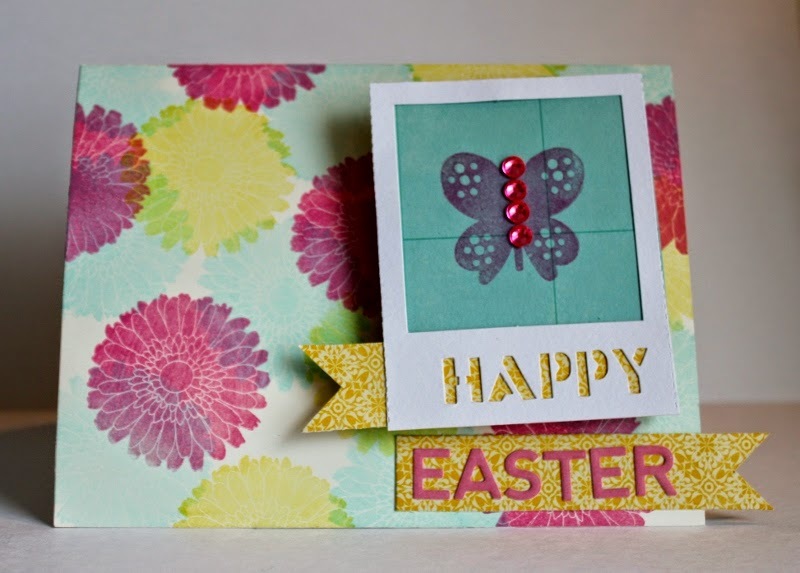 Next I stamped the butterfly (love those polka dots!) 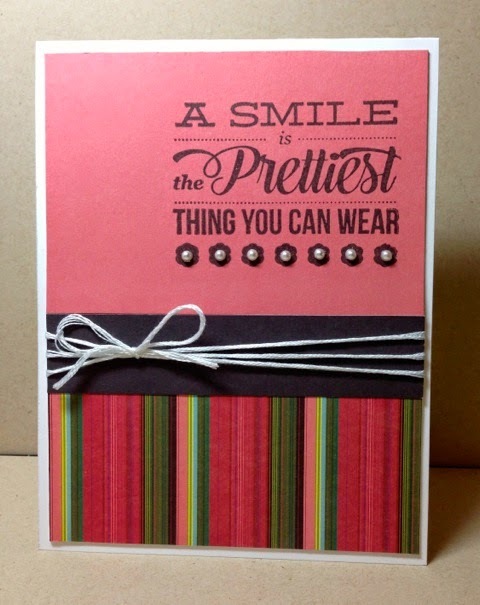 and sentiment with VersaMark, sprinkled on white embossing powder, and heat set. 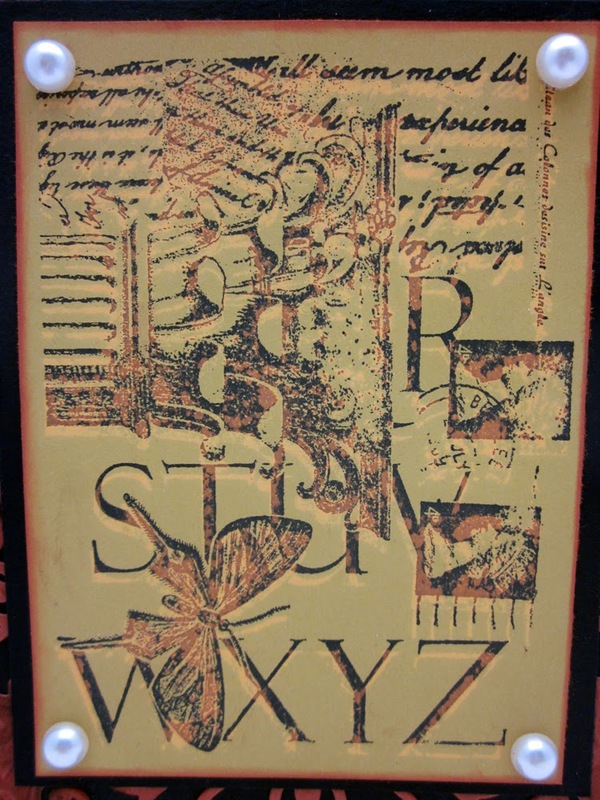 I also stamped and heat embossed the butterfly on vellum and then cut it out. Here is an Easter bouquet created just for you! 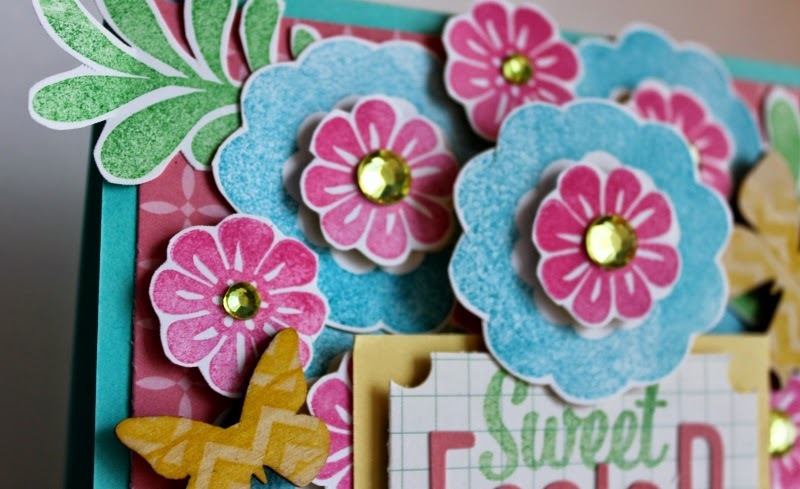 Just grab the Echo Park Stamp Set/Sweet Girl and some Jillibean Soup wood stampables, paper and stickers and you can share an Easter bouquet with someone special too. 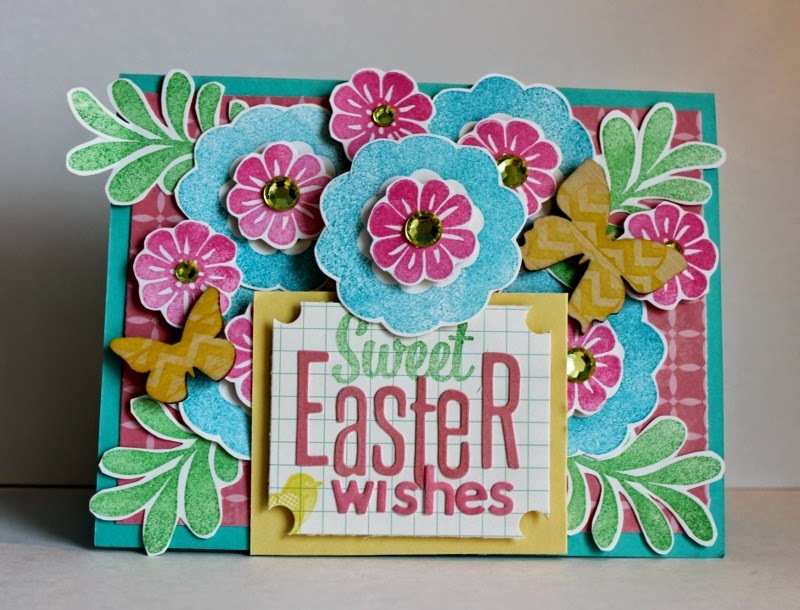 This card was all about the stamping and the layering, but I did start with a turquoise blue card base with a pink pattern mat centered on it as shown. 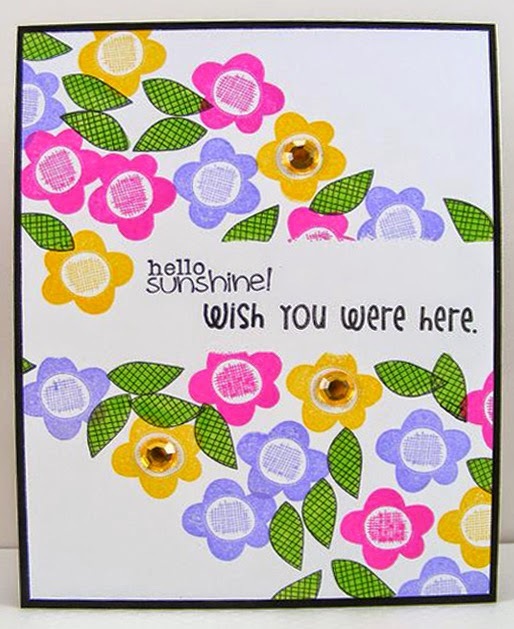 Then the stamping began using blue ink I stamped onto white cardstock the large flowers, then using pink ink I stamped the small flowers. Then I stamped the leaves in green ink and the Sweet sentiment as well onto a plain grid pattern paper. I set aside the sentiment paper and began fussy cutting out all of the flowers and leaves. Once they were cut I placed the flowers onto the card, adding the center flower with a wobble action spring and then building bouquet around it as shown using 3D foam dots for bottom layers and top layers. The green leaves were added with plain adhesive as shown. 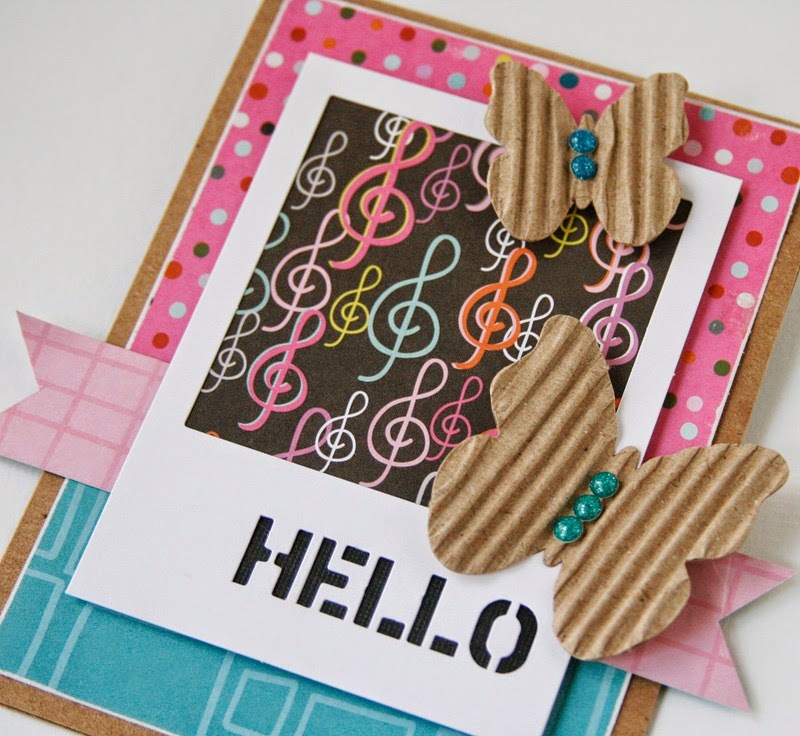 Next I stamped the wood stampable butterflies with yellow chalk ink in the chevron pattern and attached them to card with foam dots. 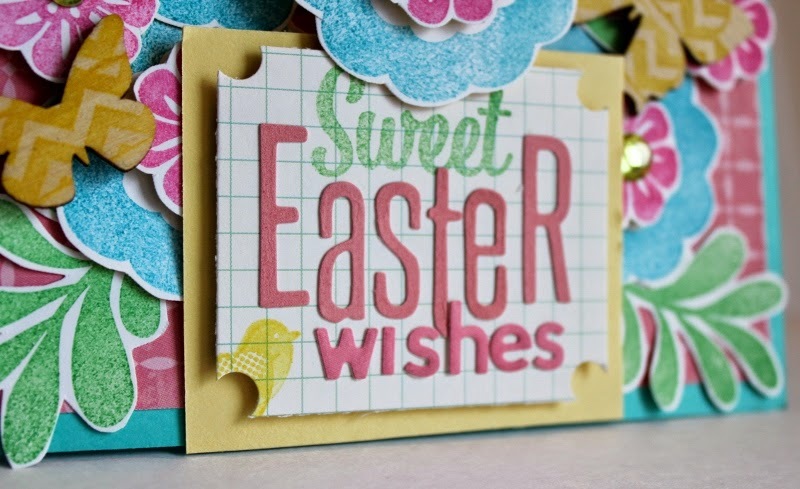 Back to the sentiment piece, I then added two different font styles of pink alphabeans to spell out “Easter Wishes” and stamped one small bird in the corner with yellow ink. Last I used a large hole punch on the four corners to create a ticket stub effect. Then I matted that onto a piece of plain yellow cardstock and attached to card bottom center as shown with foam dots. All done! 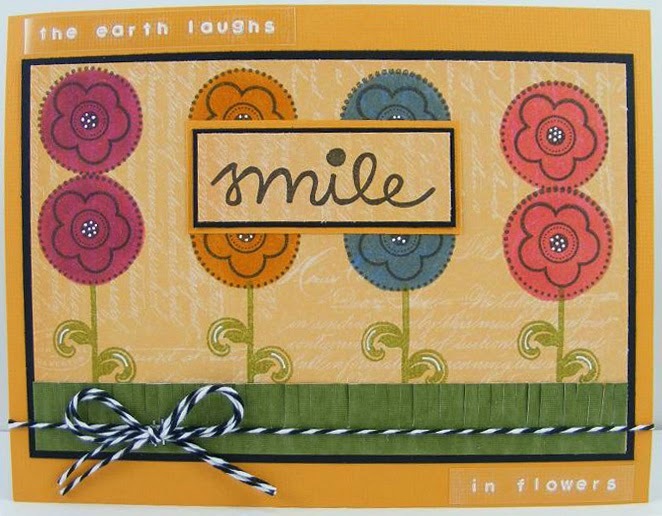 Now you have your own beautiful spring bouquet card bursting with smiles. Good morning! 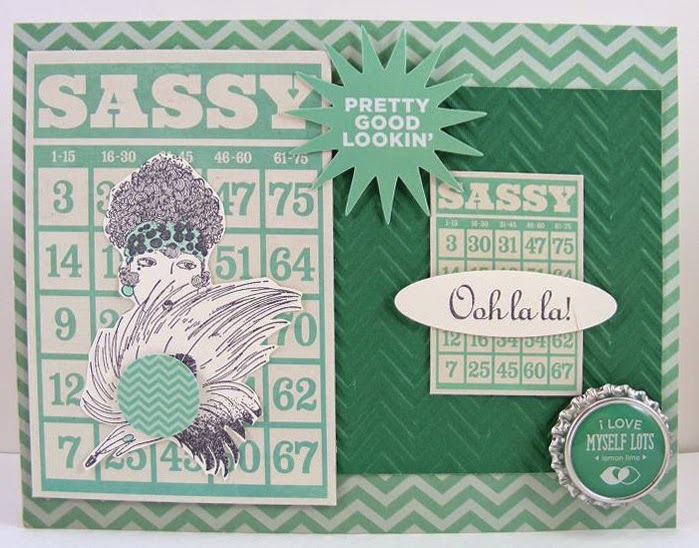 Today, I am here to show you how just a few simple stamps can jazz up your layouts! 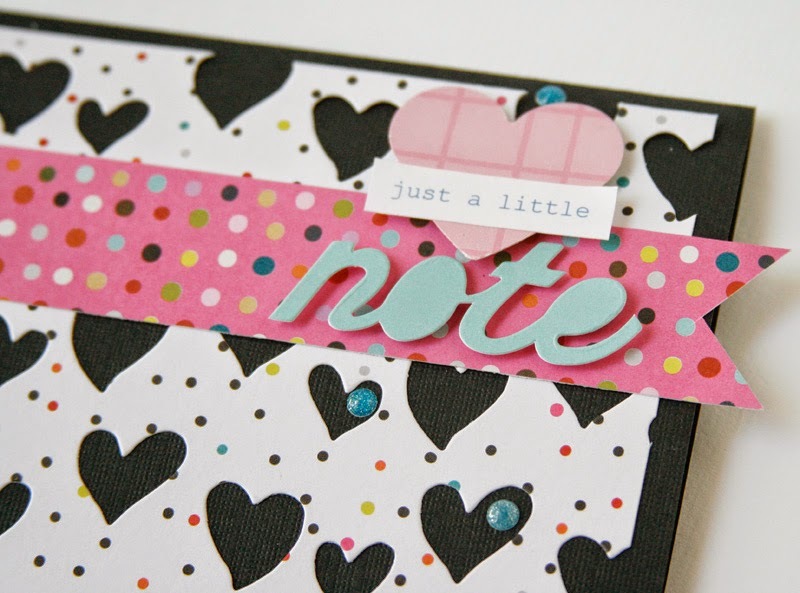 I started my page on white cardstock and left the top of my page white so I could add my stamped image. I left just enough room to add in the number stamp from the Birthday Bisque set of stamps by Jillibean Soup. 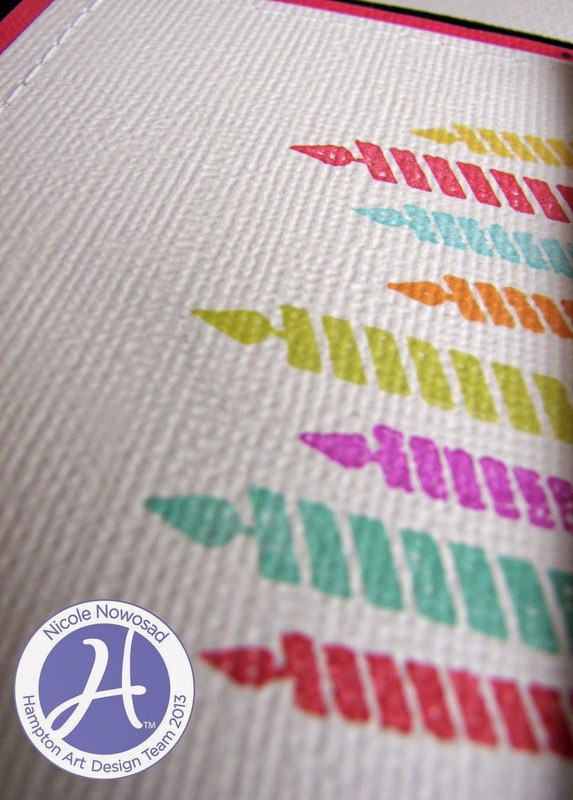 I stamped a repetitive pattern using the same stamp, overlapping the numbers across the top of the page. I added a few droplets of spray mist in different colors to fill in the white space a little. 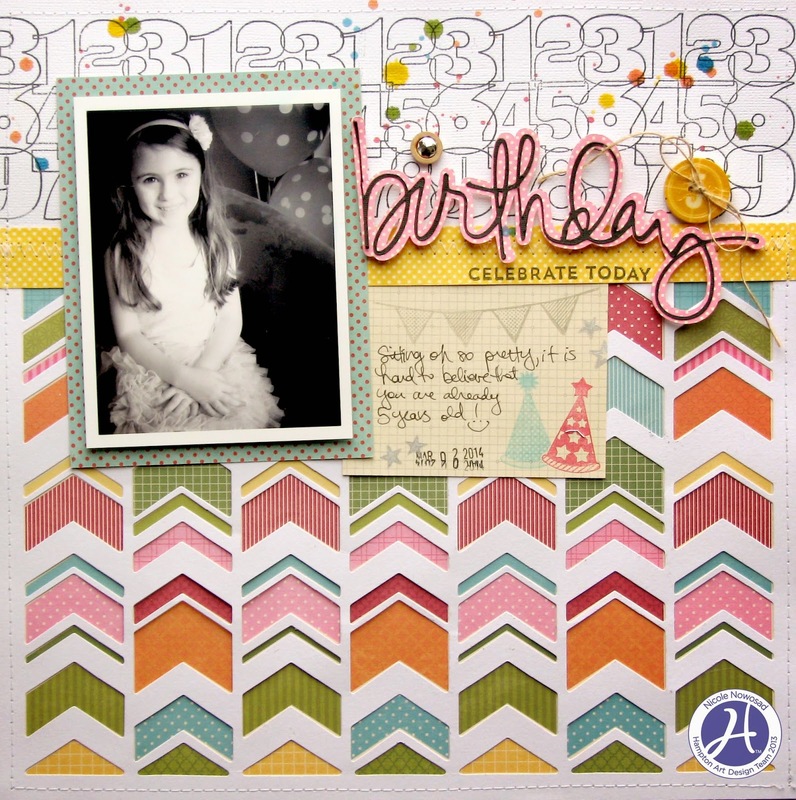 Next, I used the fun chevron pattern in the Jillibean Soup Birthday Bisque line for the bottom of my page. I added a Jillibean Soup chevron placemat over top - did you know that the chevron placemat was made just for this!! Cool right? I added some machine stitching around the outside border to finish off the page. 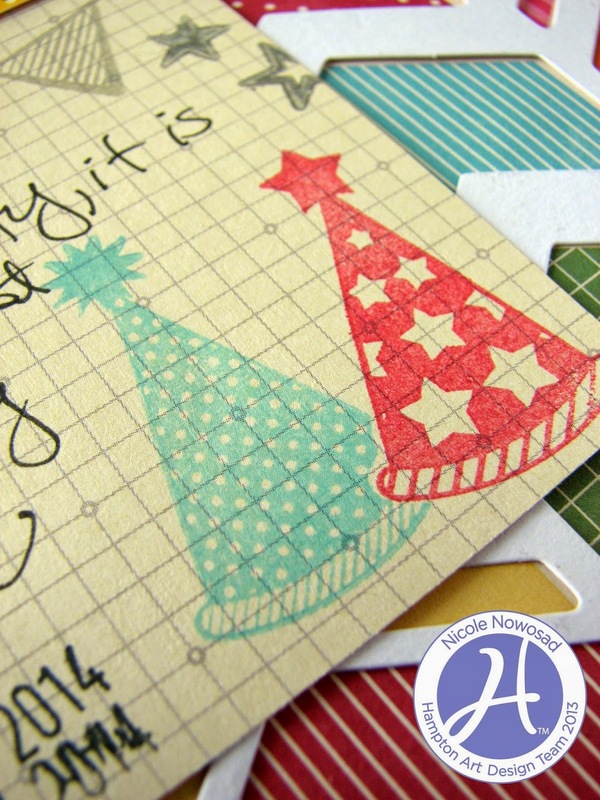 I created my own journaling card of sorts, using a simple grid paper and more of the Birthday Bisque clear stamps. 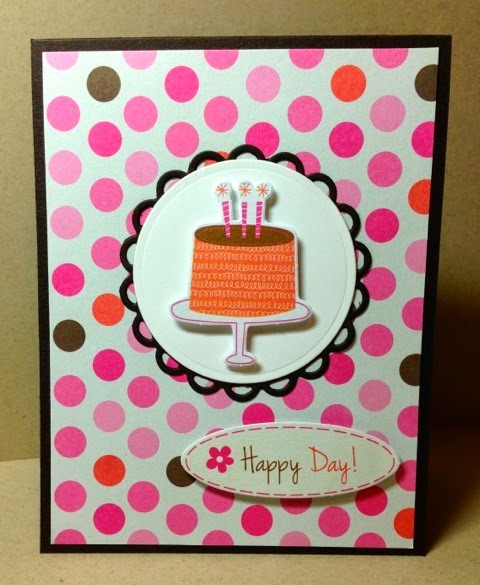 I added different motifs from the stamp collection to decorate my card. Thanks for stopping by the Hampton Art blog today! Good morning! 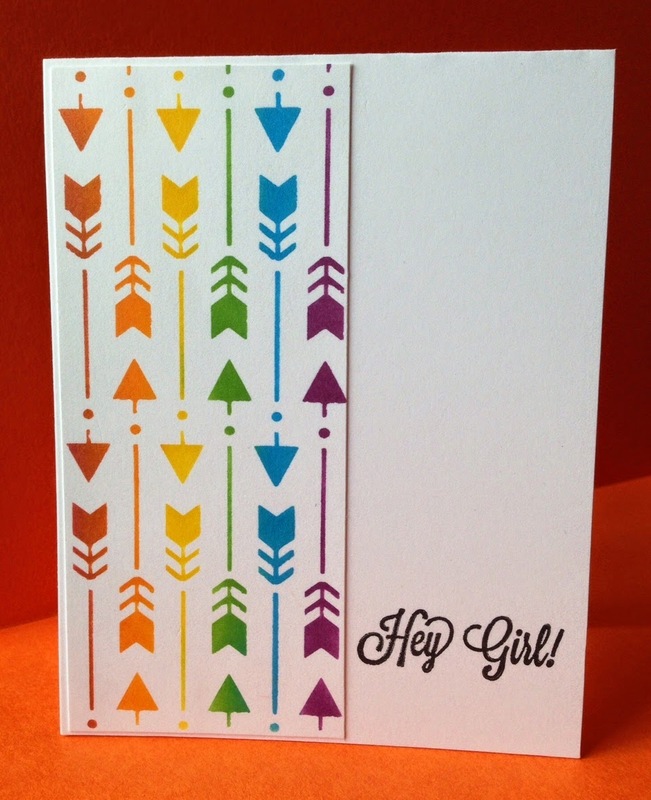 I’ve got a couple cheerful cards to share with you today. This first one is pretty simple. I used the hearted lace cardstock in the KI Memories “Playlist” line as the background of the card. 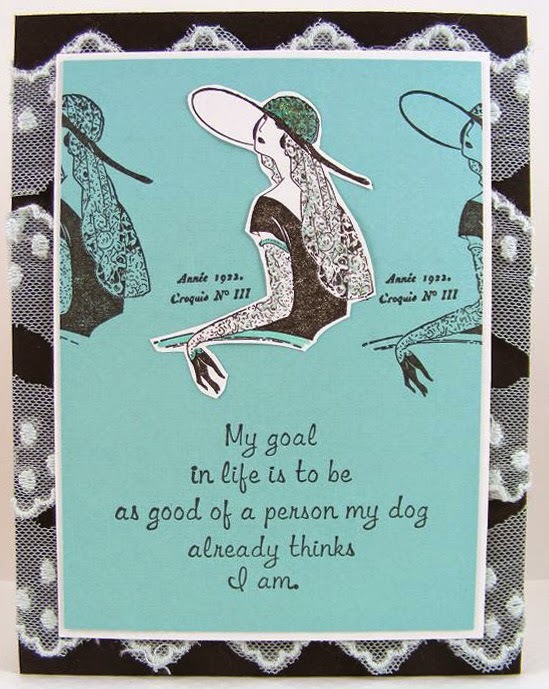 Then I used a heart punch, the “note” die cut, and a little typing on the computer to make the sentiment. 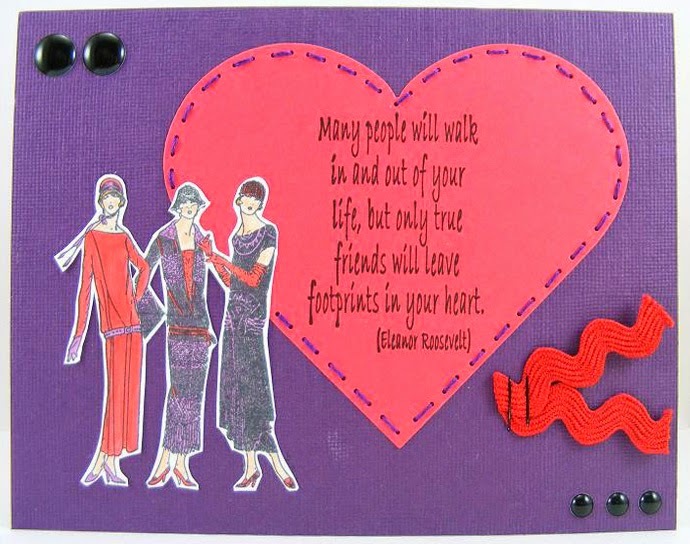 I finished the card by scattering a few glitter dots around the sentiment. 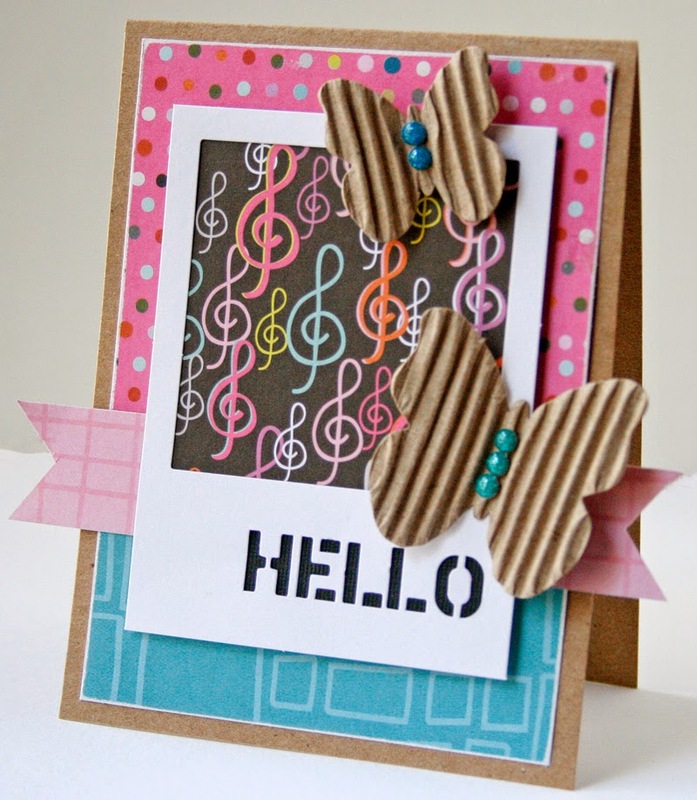 To make this next card, I combined some Jillibean Soup embellishments with the new KI Memories “Playlist” line. 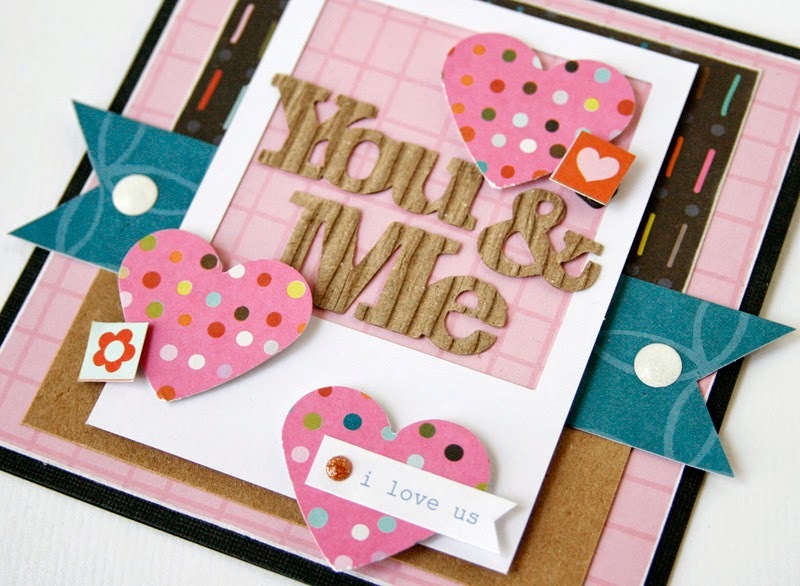 I love using Jillibean’s white frames as a cool background for cards! 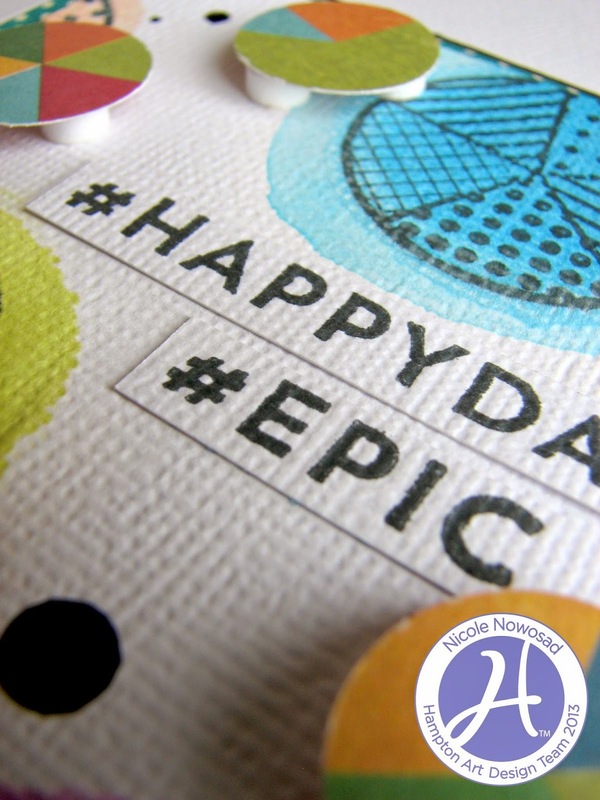 I used a heart punch to punch some scraps of the dotted “Playlist” patterned paper to embellish the around the card. And I used a lot of foam adhesive to attach the different elements to the card to give it some fun dimension. 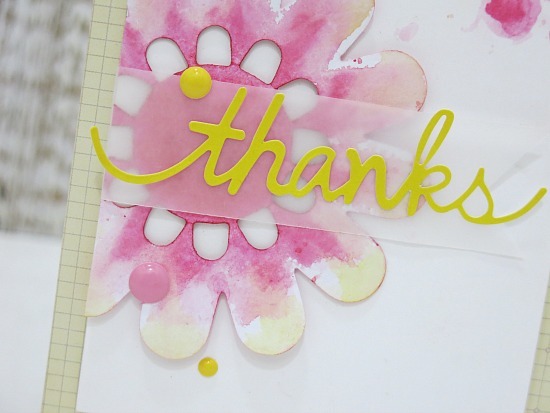 Thanks for looking and thanks for stopping by the blog today! So happy to be joining you on the Hampton Art blog today. 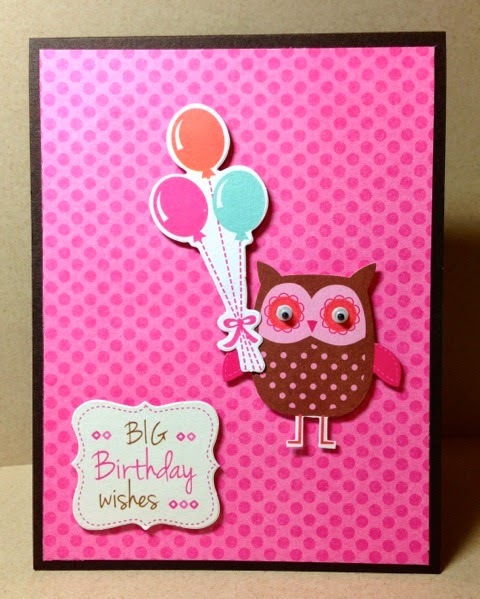 I used the papers, stickers, die-cuts and gems from A Color Story Page Kit by Ki / Hampton Art plus some coordinating cardstock to make two quick birthday cards. Here is a little tip: I swiped a powder tool on the back of the the owl sticker to remove the stickiness, then I added dimension by adhering her with foam tape. I also used foam tape on the die-cuts that came in the kit. Jewels -- Michael's Stores, Inc. So happy to be joining you on the Hampton Art blog today. I made two quick cards with the Ki - Berry Blast Paper Pad and the Jillibean Soup Today is Full of Possible and Birthday clear stamp sets. I love 6” x 6” paper pads. 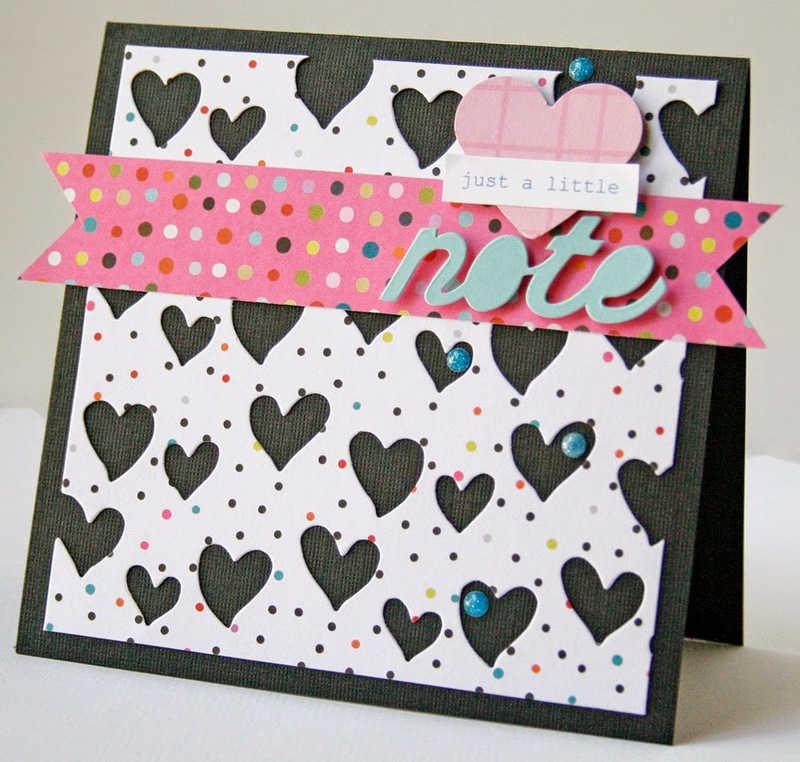 They have smaller patterns that are perfect for card making. I also really appreciate that this pad is double-sided with coordinating solids. Comments:I was feeling Spring-y when I made these 2 cards. Bring on the sunshine and warmer temps! I combined the KI Memories “Playlist” line with some different Jillibean Soup embellishments to make these. 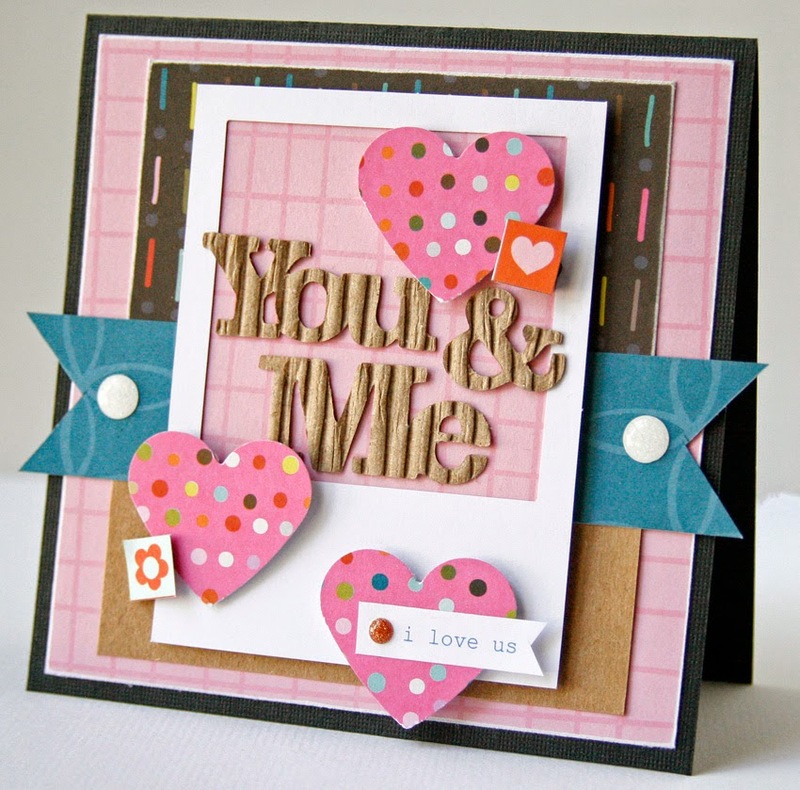 I love the versatility of the Jillibean Soup embellishments and the fun KI papers! Thanks for looking!